Becki Sue and Her Big Rockin' Daddies! 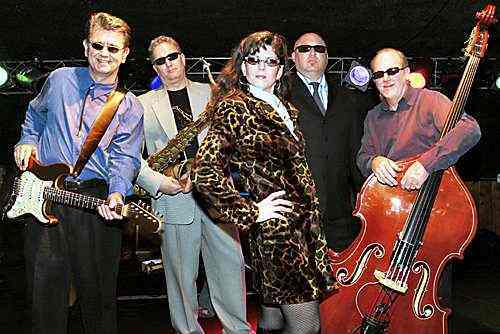 Great blues band comprised of seasoned blues veterans backing up big voiced young blues gal. Becki Sue is reminiscent of those Texas blues women, Angela Strehli and Lou Ann Barton. The band, led by the winner of The Washington Blues Society's "best electric guitarist" award for 2003, flat out smokes! 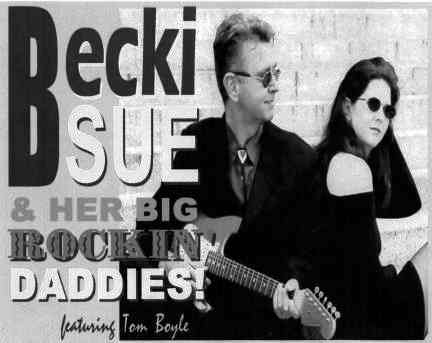 Becki Sue & her Big Rockin' Daddies! were nominated for 15 and won five Washington Blues Society (WBS) "BB" awards in 2006, including "Best Blues Band", "Best Electric Guitar" (Tom Boyle), "Best Horn" (Jim King), "Best Bass" (Les White) and "Keeping the Blues Alive" (Jeff Hayes). The band will represent the WBS at the 2007 International Blues Challenge in Memphis, TN on February 1-3, 2007. Some of the other Pacific Northwest music groups represented in this group include: Johnny and The Rockets, The Slackmasters, Drivin' Wheel, Junkyard Jane, Savana and The Sin City Ramblers, T-Boy Neal and His Wild Blue Showcase, and many others NW bands.